These blanks are made from special polymers which are extremely easy to turn and drill yet are hard enough to take an extremely durable finish. Specifically formulated for turning on the lathe, these acrylic acetate pen blanks cut cleanly and polish up to a dazzling finish. 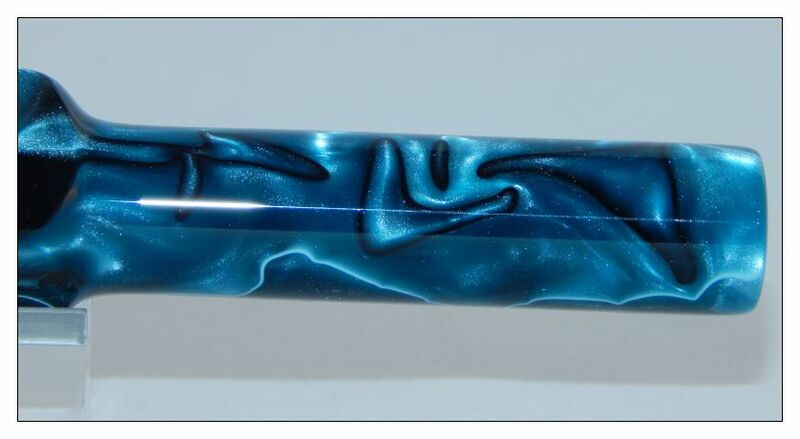 One of the beautiful features of these acrylic pen blanks is that they have a vibrant mixture of colours that swirl and intertwine throughout each blank. This makes each pen blank unique and attractive. Acrylics turn similar to wooden pen blanks. The key is to use sharp cutting tools and to polish the blank with a very high grit sandpaper or plastic polish. Acrylic pens achieve their high gloss finish through polishing and do not require a finish on the surface like wooden pens. Size of the blank is 20mm x 20mm x 130mm (slightly larger than¾" x¾" x 5"). Please note the size supplied has a manufacturer specification of +/- 2mm. This is an example of the blank that you will receive.